The book is written from the prospective of Parchy Mustment. He’s an Earth Pony that loves to travel around all of Equestria, looking for different and exotic creatures, then studying them and writing about them. I like this approach, as it gives a less-sterile feel to the writing. A GM can also use the entries as good bits for their game. They could have their players come across the tome and use it to follow around Musty and his adventures or somesuch. As for the entries themselves, since the system uses a pretty light framework for creating characters, there’s not giant stat blocks that have to be pointed out. One of the things I like the most is that many of the named characters from the show are there. For example, you get the stats for a “generic” yak, but you also get stats for Prince Rutherford. Along with that, you get stats for many characters from the setting that aren’t part of a specific group. You get Discord. You get Lord Tirek (two versions, even). It’s fairly comprehensive. There’s also stats for various “mundane” critters like rabbits, mice, and cats. 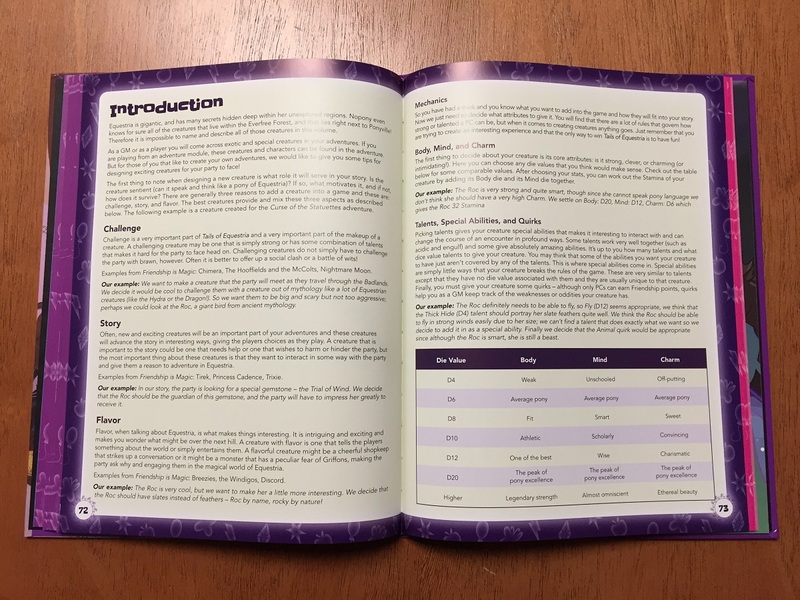 There’s about 65 pages for these stats, with an average of one creature per page, so you’ve got a pretty good list of things from the setting you can drop into your game. After the pre-made creatures section, there’s a couple pages devoted to making your own. So if there’s something they did miss (and that’d be hard to find), they give you guidelines for making your own. Or, if you’d like to just make your own creatures that aren’t already part of the established canon, there’s a guide to do that. Very handy to have. 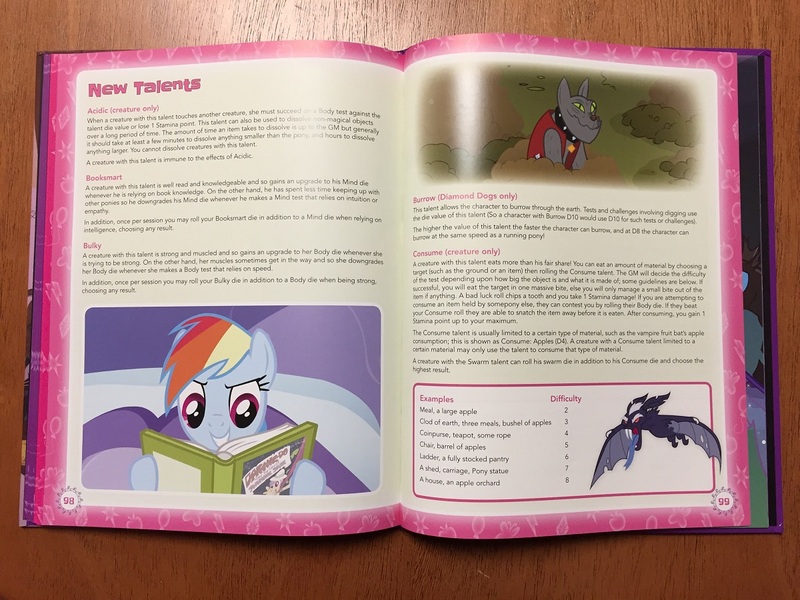 The next section gives you stats and abilities for various ponies in Equestria. 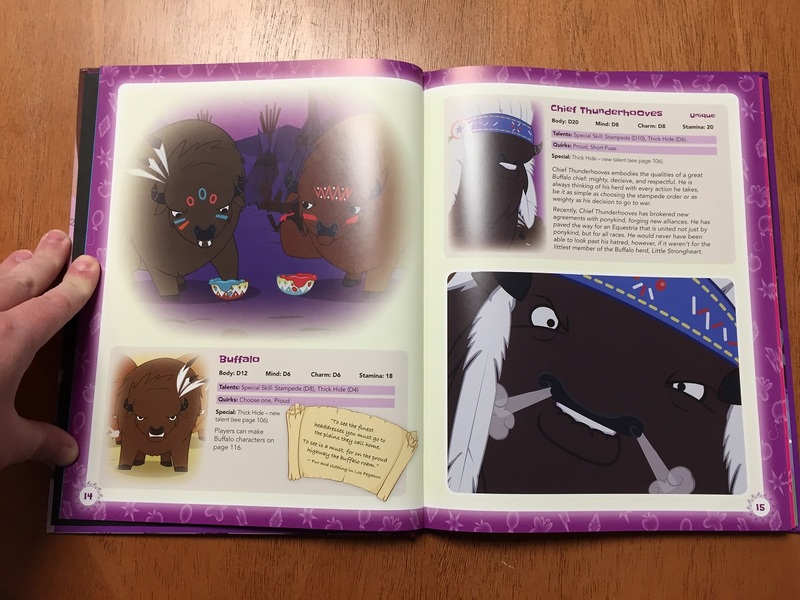 The original rulebook had stats for the Mane 6, as well as a generic version of all three types of ponies. The Bestiary expands on that, giving you stats for many of the minor characters from the series. There’s the Cutie Mark Crusaders, Maud, DJ Pon-3, and several others. 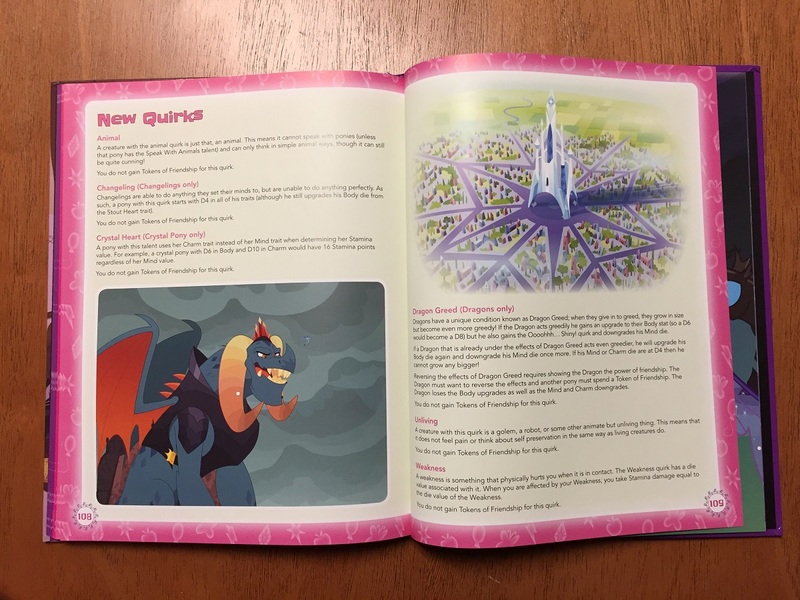 This is also the section where we first get actual stats for the Princesses. Celestia, Luna, and Cadence all get entries. Beyond the named characters, there’s also the generics and sort of… let’s say “Generic Plus” types of ponies. By that, I mean you get the stats for a generic Royal Guard pony, as well as a generic Wonderbolt. So if your characters happen to run into such during your game, you’ve got ready-made stats for them. You can use those as-is, or tweak to your needs. But tweaking stats is a lot easier than coming up with them whole-cloth. The section that follows is about new Talents. The original rulebook was pretty open-ended with its Talent list. You had a lot of core elements, along with a “if you can think of another that’s not covered here, talk with your GM.” The Bestiary goes a step further and introduces 9 new pages worth of Talents. Some are race-specific, like Burrow being Diamond Dog only, or Fire Breath being Dragon only, but many are available to all different types of ponies. Many of the Talents are also for Creatures only. They’re used when either making your own Creature, or were referenced back in the first section of the book. Following Talents is a list of new Quirks. As with Talents, Quirks had been left rather open-ended in the rulebook, but are expanded here. Many of these are based on new Creatures or races introduced in the book, but there’s a couple that can be used by your average PC, too. Speaking of PCs, the next section includes new Player Races. 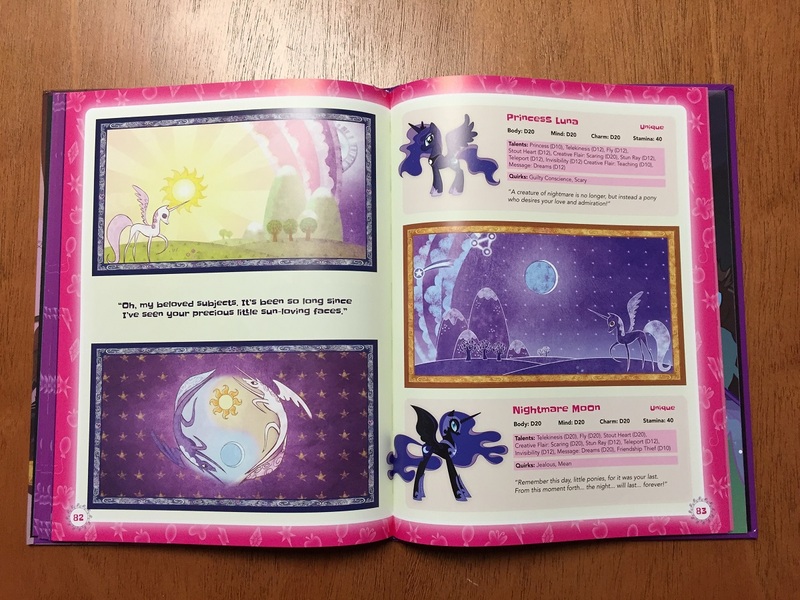 The rulebook gave you only the option of the 3 main types of Ponies (Earth, Pegasus, and Unicorn). Those are reiterated in the Bestiary, but you also get new races. They’re the Dragon, Griffon, Buffalo, Diamond Dog, Changeling, and Crystal Pony. So that triples the amount of races that your players can choose from. 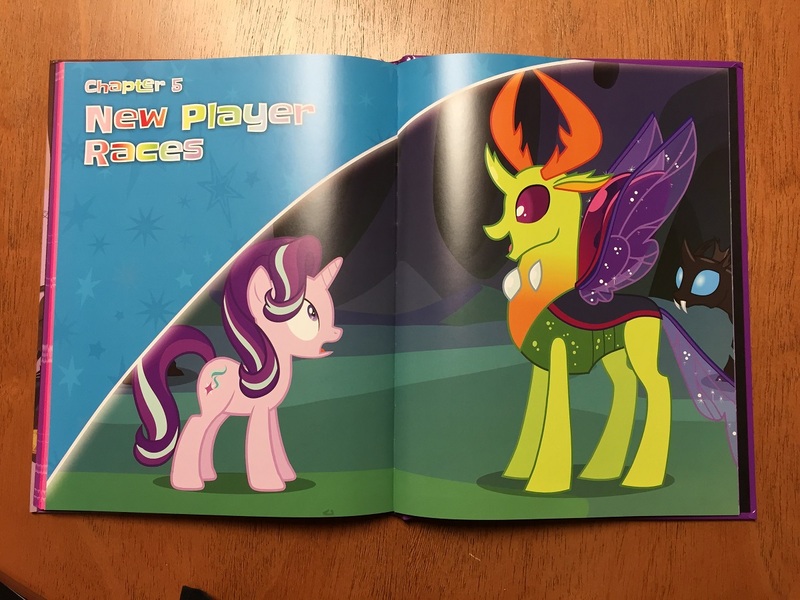 Maybe one has been a Changeling this entire time and is only revealing themselves now! Following that is a rather helpful Index. Not enough books have a good Index, in my opinion. But this one’s pretty good. So, how do I feel about the book? Did it live up to my expectations? Honestly, it more-than lived up to them. 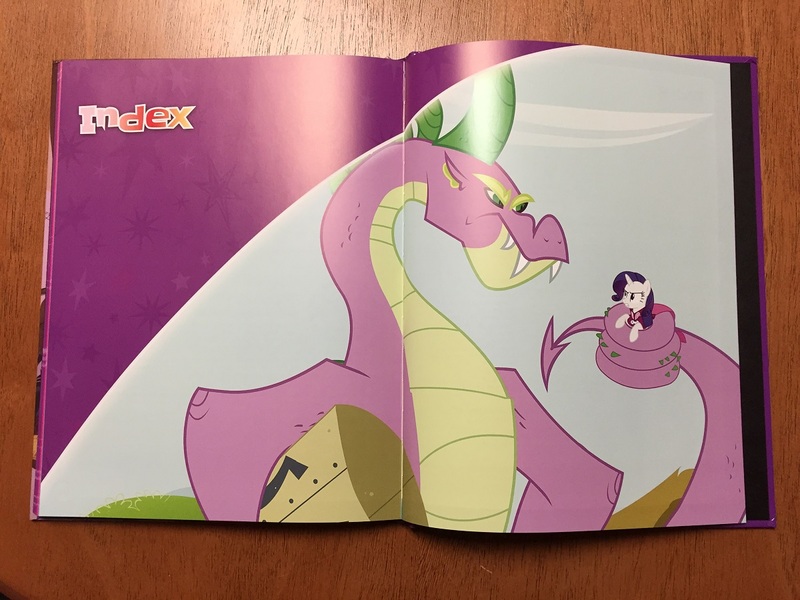 Flipping through the pages, I was remembering all the various episodes where those different Creatures had shown up. I found it hard to think of anything they missed, honestly. I love the addition of the named characters along with the generic versions. I love the extended look at various named Ponies from the show. I love the expanded choices in player race. The new Talents are very welcome. 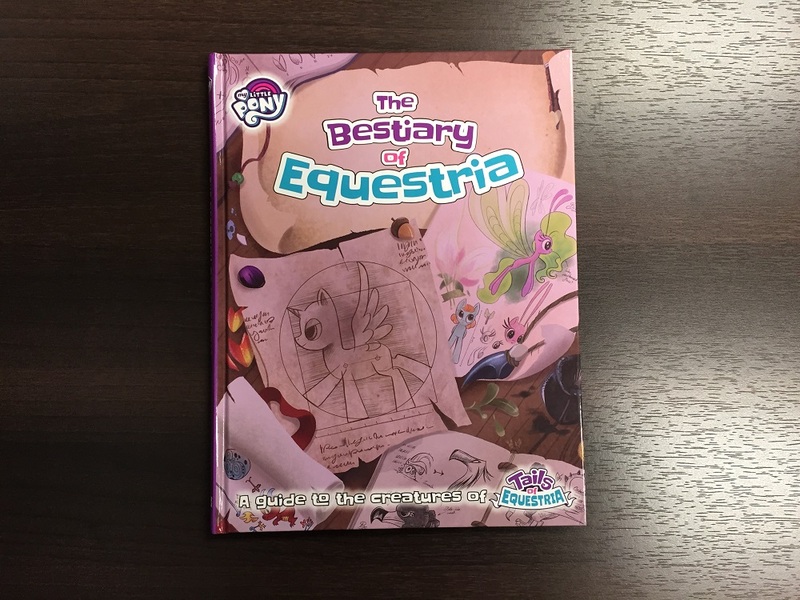 Overall, I feel that the book is a must-have for your games of Tails of Equestria. The rulebook is great for what it is, teaching you the game and giving you the fundamental framework. The Bestiary is really what puts “meat on the bones” of the whole system, and your games will be well-served by picking it up. Most of the world can pick up their copies from River Horse. Those of us in North America can order it through Ninja Division.